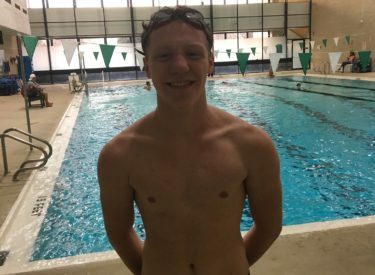 Liberal freshman swimmer Jacob Sautter is the Athlete of the Week. Sautter received state consideration for his 12.88 time in the 50 free on Saturday in Wichita. Sautter also competes in the 100 free, the 200 free relay, and the 400 free relay. He also ran cross country in the fall. The team competes at Garden City Thursday and competes for a WAC title next Thursday, February 8 in Great Bend.